...Let's start talking about fan fiction because the comments that can be added just below the stories are not big enough to express your opinion. I'm waiting for next chapters, I wonder what the end will be. Kogamitsu... whoah, Yoshi really had a bad day. You got the feeling of "The Manji" :). I made a theory that "The Manji warrior is dangerous for himself, what about the others!". I also happen to get into serious trouble but finally I'm not the one who gets hurt, but people around me. That's the real Manji. Chaos loves him, and serves him well. Gonna make a fan fiction describing the "Test for the Manji"
Heh, thank you Tenshi. 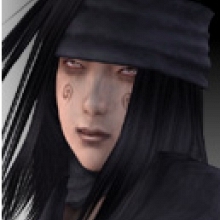 Like I mentioned in the fic, most of the incidents that happened to Yoshimitsu have actually happened to me. I always get my inspirations and ideas of things that I have gone through, meaning I can't call my life dull at any rate. And as for getting into trouble, it's always the same; either only I get hurt or everyone else does. At any rate, Raven, your fic is certainly worth reading and even more so, you have the skill to express things very clearly. As if the reader would actually live within the story. Wow... keep it up! Well thank you to the both of you. I do feel I need to work a bit on my characterization and other things, so I appreciate some of you criticism you gave me Tenshi. I did go a bit overboard with Heihachi and his "Dirty old man" act, so I will tone that down next chapter. As for Koga, I will have to read your fic later when I have a bit more free time, then I will let you know how I feel. Kogamitsu, your story convinced me to register at this cracker-jack website. That story is SOOOOOOOOOOO funny! :D I wanna be a fan fiction writer. If I get accepted, expect funny stories from me! :D And plus, I bet Yoshi kept that rainbow armor. LOL. You can submit your fan fiction in the "Your fan fiction" section. We're looking forward to reading it! Oops, I missed this one... >_< Thanks a lot! Anytime. It is true. You did a great job on your fan fiction. 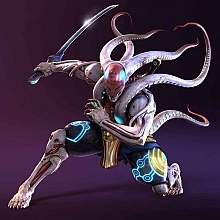 See, I usually only role play but I have a site with my stories on it but they really do not have nothing to do with Yoshimitsu in Tekken or Soul Calibur even through I use his name for one of my characters. Haha cool, I'll have to take a look sometime. Hello everyone. It's quite cumbersome to post my fanfic in the reserved section of this site, so I think for now I'll just post a link to it here. It's complete, as well, so feel free to check it out in its entirety. I've also started on a sequel called My Hero, featuring Yoshimitsu and Ling Xiaoyu. Kunimitsu will also make an appearance later on, but it mostly centers around the friendship between Yoshimitsu and Xiaoyu. There are some moments when it gets kinda Xiaomitsu (le gasp), but it's all good fun. Here's the link. What do you mean "reserved section"? Fan fiction section is freely available to anyone. Please explain. You know, I made that post so long ago that, well... I don't really know what I meant by "reserved section" either. I think what I was talking about was that it's hard for me to submit my fanfiction to this site because of the formatting errors from Microsoft Word (all the "s and 's and ...s change into ?s when I submit it to this site, so I have to go through and change them all manually). But actually, it's not so cumbersome as I had previously thought. In fact, I just submitted Chapter 4 to the Line Between Love and Hate, if any of you want to check it out. Hello again, everyone. :D LOL! I see that this part of the forums doesn't get much activity. Yeah, my apologies. ^_^; It's been taking me forever to finish it. I actually wrote this oneshot in hopes of getting back into the writing mood.